livingLAB is part of a DWSD team of consultants, led by OHM Advisors, tasked with assessing, documenting, and recommending green stormwater infrastructure (GSI) solutions for a total of 265 private and non-profit properties throughout the City of Detroit over a period of 3 years. 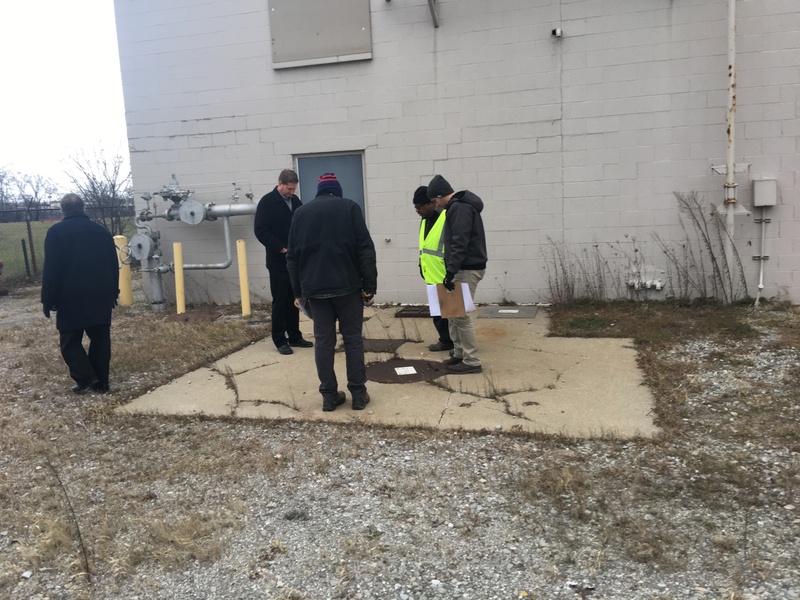 Our design and engineering team visits each property, meets with the owner or owner’s representative to discuss stormwater drainage, parking needs, future plans, maintenance capacity, and goals for implementing GSI to help reduce DWSD stormwater drainage fees. Utilizing existing impervious surface data, LIDAR data, site information provided by the property owner, and field notes, our team develops plans and a report that includes preliminary site design, stormwater and green infrastructure sizing calculations, cost estimates, estimated drainage fee credit, and estimated return on investment calculations for each property. The final report is provided to the property owners to assist them in making educated decisions on capital improvements and how to move forward with the implementation of GSI practices.